Investing In Cryptocurrency For Beginners | The Ultimate Guide! Looking for a complete guide to investing in cryptocurrency for beginners? This blog is for you if you’re interested by the idea of investing in cryptocurrency - but you have no idea how, where or what to do first. Maybe you feel like you’re missing out on the Bitcoin craze, or you’ve heard about investing in cryptocurrency but you have NO idea what it is or how to get started. How to start investing in cryptocurrency for beginners. 1. Investing In Cryptocurrency For Beginners. 2. What You Need To Know About Cryptocurrency Investing. 1. This Isn't About 'Getting Rich Quick'. 2. You Don’t Need To Be A Pro-Trader. 4. It All Depends On You. 5. You Need To Take Action. 3. Where To Buy Cryptocurrency. 4. Why Invest In Cryptocurrency? 5. The Biggest Cryptocurrency Traps. 9. Stay Up To Date. 10. Are You A Gambler Or An Investor? 12. Why Investing In Cryptocurrency Is Perfect For Beginners. 14. What To Do First. 15. Which Cryptocurrency Exchange Is The Best? 16. Common Cryptocurrency Scams & How To Avoid Them. 1. Pump And Dump Groups. 17. Picking A Cryptocurrency Investment Strategy. I’ve created this guide because investing in cryptocurrency is my passion. I’m going to teach you almost everything you wanted to know about investing in cryptocurrency, including how to get started and the best trading strategies you can use to make money with it. By the way, if you've never invested before and you're looking for some beginner tips, check out this guide. I know that a lot of people in the cryptocurrency space have been misled into thinking they’re going to become a millionaire overnight with cryptocurrency! 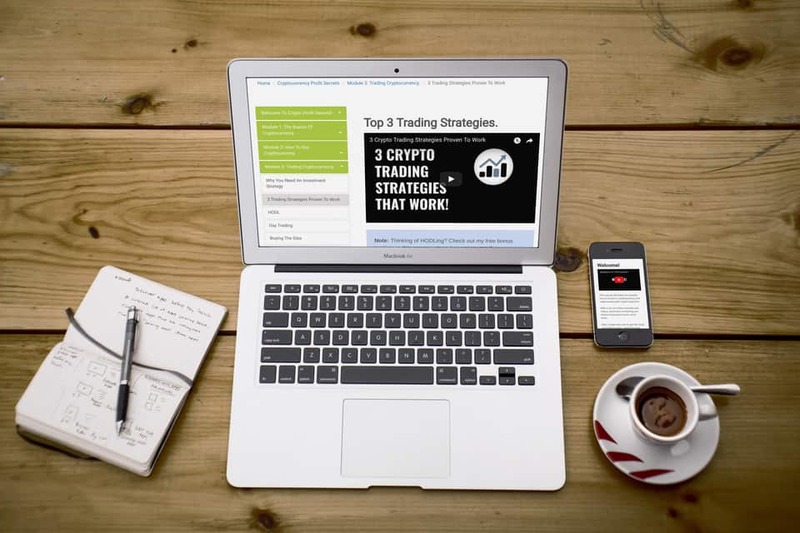 Today we’re going to just talk about solid, proven trading investment strategies that you can use to profit long-term with cryptocurrency. This blog is for beginners interested in making money with cryptocurrency - it’s definitely not for pro traders! We won’t be covering advanced trading techniques like Fibonacci Retracements or technical analysis - instead you’ll learn the practical stuff you can start using straight away! In fact, we’re just going to talk about the exact proven cryptocurrency trading techniques almost anyone can use and profit from. And with the information you’ll learn today, you’ll discover how to profit from cryptocurrency without spending hours analysing graphs or tapping away at a calculator. Trading cryptocurrency comes with challenges that you need to know about. Investing in crypto can be easy but it can also be incredibly difficult too - and that’s why I’ve made this blog, to show you the easy route that you can take advantage of right now. You don’t need to be good at maths, particularly intelligent or even technical to get this - and that’s what you’re going to learn now. Some people will throw some big numbers at you - for example - 'how to make $7,000 in 28 days investing in cryptocurrency'. I have to say that these results are not typical - and that the average cryptocurrency trader probably doesn’t make anywhere near that figure every month with crypto! Plus, I don’t know what your budget is or how much you’re willing to invest - and this depends completely on your personal situation and how much risk you’re willing to take. You can invest thousands of dollars into crypto - but you can also test the water with just $50 if you want too - in fact, I’d recommend starting out slow as a trader. Also, what I will say is that most people never take action on the advice they learn - they spend hours and hours learning how to invest without taking action. So please pay attention to this blog and try to learn as much as you can because it will really help you in the future. Read carefully, write down some notes and most importantly, take action after you’ve listened because that’s the only way you’re going to learn! Coinbase is the easiest place to buy cryptocurrency if you're a beginner. Coinbase is great - but they only sell Bitcoin, Ethereum and Litecoin. So if you want to trade a bigger selection of altcoins, then sign up to Binance. They also tend to have the cheapest exchange rates and launch cryptocurrencies before most other platforms. Also, I've written a step-by-step guide to Binance that you might want to read too. The biggest thing to note about cryptocurrency is that it’s about putting power back into the hands of consumers. With the way crypto technology works, it cuts out the need for banks or any other third party. It’s completely deregulated and off the grid. Just imagine how powerful the world’s biggest banks are right now - if cryptocurrency replaces them, it could change everything. One of the biggest traps I see most rookie traders fall for is the emotional side of trading - they don’t have the right mindset, they lack the discipline and they keep moving their money around without sticking to a solid plan. In fact, this is probably the biggest difference between those who make a profit and those who struggle to break even. 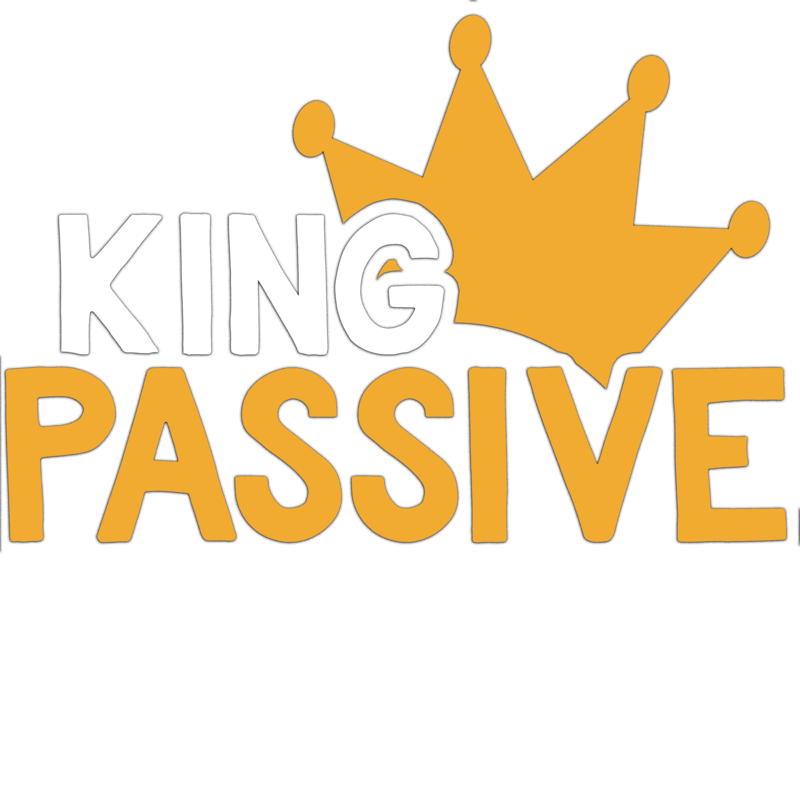 I actually have an online course that will teach you the exact strategies you can use to build your passive income with cryptocurrency. This is a beginner friendly, easy to use course where you’ll learn how to invest & trade cryptocurrency - even if you have no experience, no technical skills and no knowledge about the market. I actually and embarrassingly thought I’d get rich from cryptocurrency when I first tried investing - like almost everyone else. I fell for the hype and looked at trading ‘get rich quick’ cryptocurrencies and recommendations from spammy Twitter and YouTube accounts online. In fact, pretty much every beginner falls for the same trap because you’re looking for quick money right? I also tried day trading and this sucked completely! For anyone who’s not familiar with this, it’s where you trade cryptocurrency on a day to day basis and try to profit by reading technical charts. The problem is that cryptocurrency is so unpredictable and volatile that you have to be an extremely well versed trader already to make any money out of it. Plus it’s very stressful, tiring and emotionally draining. Unless you want to be glued to a computer watching numbers go and up down all day, don’t do this! Note: There are now altcoins that are designed to be more stable - check out this guide to stablecoins for more info! 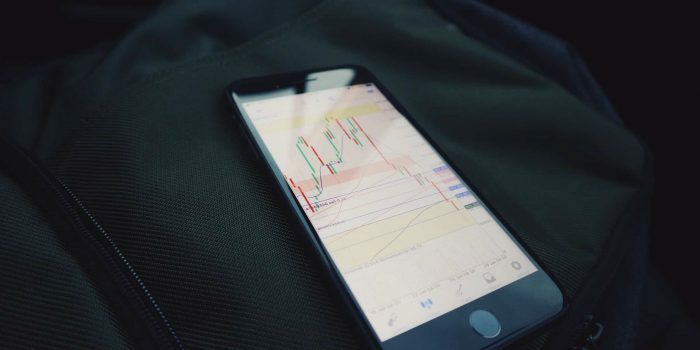 Most beginner traders are just thinking about pumping and dumping a cryptocurrency without thinking about which cryptocurrency is a credible and viable option in the long run. Not to mention the fact that you’re taking huge gambles with this approach and you can even get banned from most crypto exchanges with that sort of approach. And finally, and this is actually a bit more embarrassing, but I had to change my mentality. I was kind of thinking like an amateur gambler - not a long-term investor. So I decided to work on reducing risks, improving my confidence and thinking about the long-term investments, not the short term gambles. Don't try to roll the dice on low quality cryptocurrencies that you don’t really have any long-lasting faith in. I actually started to study the masters of investing, who have been proven time and time again. And even though they were mostly investing in stocks, the same strategies still applied. I took the long-term approach - trying to boost the confidence I had in my investments as much as I could and improving my mindset as much as possible. And this is where I discovered that if you want a passive source of income, it’s not about the technical details, it’s about the fundamentals. You have to understand that cryptocurrency is almost brand new, so no one has any real experience - unless you’ve traded stocks before. You might be thinking you’re not the type of person to invest in cryptocurrency but seriously, this is for anyone! And because cryptocurrency hasn’t even hit Wall Street yet, you don’t have to be worried about getting squashed by the big whales in the market. ​Now, my best advice is to take it easy at first! Don’t jump ahead and buy a full Bitcoin thinking you’ll become a millionaire overnight - in fact, if you’re just starting out then you can invest in crypto with as little as $50-100. I’d actually recommend starting out slow, testing the water and being patient at first. That way you’re still learning how to invest - without worrying about the stakes! So first of all, if you’re serious about investing in cryptocurrency, then you need to sign up for an exchange. Exchanges are where you can buy your cryptocurrency - it’s kind of like eBay or Amazon for cryptocurrency. However, you have to be careful because some of these companies aren’t regulated - and that means they’re not accountable if they run off with your money. Coinbase is the first port of call for beginners. It’s the biggest exchange in the world right now and if you’re a beginner, it’s really easy to use. Plus, their headquarters are based in the US so they have to follow more legislation and technicalities than pretty much any other exchange on the market. Now I know some of you might be eager to start investing, but before you run off chasing the next Bitcoin, you need to be extremely cautious about where you put your money. Just like when the internet was launched, there are a few scams that you need to be aware. You may have heard about some people getting hacked and losing their whole investment, so I’m going to run you through some of the red flags to watch out for. ​One thing you need to note is that there’s a lot of pump and dump groups which you have to watch out for. These are basically groups of investors who will all decide to buy a cryptocurrency at once, and artificially pump up the price! Then when the rest of the market jumps in, the pump and dump group will all sell out the same time - leaving anyone holding that coin completely stranded with a worthless cryptocurrency. So you really have to watch out for pump and dump groups because I’d hate for you to get caught out. ​Also, there are loads of really low quality coins on the market. It’s not like the stock market where they have loads of regulations and auditing before a company goes on the market. I mean, a few teenagers could literally just launch a cryptocurrency from their garage and you wouldn’t even realise it - seriously, it’s been done before and it will probably happen again! ​Also, there are some big names in the crypto world, and a lot of them have huge followings on social media - for example, on YouTube and Twitter. A lot of them get paid a load of money to promote someone’s cryptocurrency - it’s like sponsored advertising for the crypto world. So if someone is almost aggressively telling you to invest in a certain altcoin online - whether that’s via Twitter, YouTube or even Telegram - don’t just jump straight into it. Do your own research first and don’t believe everything you read online. Now that might sound complicated but it’s basically like creating a plan that you can stick to. Otherwise, you’re going to be floating without any idea what to invest in, when to sell and you’ll basically sink all your profits whilst your emotions get the better of you! Want to learn more? Check out my course to investing in cryptocurrency for beginners here!